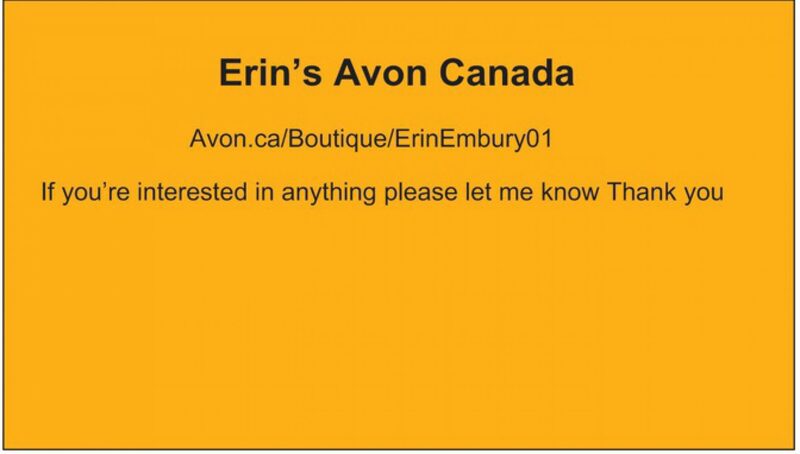 Here’s my new business card but I’ll only show you the back & if you want to see the front then you’ll have to get one from me! I’ll be getting them in the mail next week but here’s a preview for you! 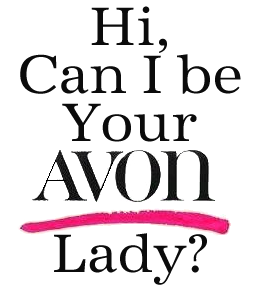 http://www.avon.ca/webapp/wcs/stores/servlet/m20StoreView?langId=11&storeId=10651&uniqueURL=erinembury01&regSource=U Here’s my Avon E-Store you can shop online with a credit card 💳 & have your order shipped right to your house or apartment! Or if you see me in person you can pay in cash or E-Transfer through your Bank! I’m in Peterborough, Ontario Canada 🇨🇦 Thank you 😊 Have a Wonderful Day!